BioFresh animation: illustration by Adam Arnot (Wild Lion Media). World Water Day is held each year on 22 March to focus global attention on the importance of freshwater systems and advocate for the sustainable management of water resources. Initiated by the United Nations, this year’s theme of “Water and Urbanisation” was intended to “focus international attention on the challenges and opportunities of urban water and sanitation management”. There is no explicit mention of freshwater biodiversity in the World Water Day literature, even though healthy freshwater ecosystems provide a range of important ecosystem services, including clean drinking water. The issue of freshwater biodiversity is often neglected in environmental campaigning and policy-making circles. BioFresh is a European Union project that aims to bring freshwater biodiversity into the policy frame through the creation of a global information platform for scientists and ecosystem managers. The project gives access to all the available databases describing the distribution, status and trends of global freshwater biodiversity. BioFresh’s approach draws from policy-network concepts, new technologies and emerging trends in science communication to experiment with innovative ways of conveying the importance of freshwater biodiversity. Following the launch of the BioFresh blog and the Cabinet of Freshwater Curiosities (a digital showcase for unusual specimens and phenomena that is intended to foster wonder), a four-minute animation on the status of freshwater ecosystems and their threats has been created to raise awareness in visual form. The animation shows it may be possible to raise awareness of science and policy through engagement-led and innovative methods of science communication. Science communication is a complex and often contentious topic, but one that is receiving increased critical attention from academics, policy makers, the media and the public. A transparent and critical discussion of environmental research and policy (and its outcomes) between scientists, policy makers and the public is important in democratising the environmental decision making process. Similarly, breaking down barriers of dialogue (perceived or otherwise) between scientists and society, may help increase public trust and confidence in science, encouraging a productive public environmental ethos. As a result, there is increased emphasis on engagement-led and dialogue-based environmental communication methods. These contrast with previous ‘deficit’ models in which scientists provided a top-down flow of information to address a perceived shortfall in public understanding of science. BioFresh aims to address this shift by encouraging users of our websites to submit entries and participate in debates about freshwater science, policy and conservation. Such dialogue-based models of science communication need to be attentive to the wide variation in public understanding and concern about environmental issues. For human–nature researcher Arjen E. Buijs, this variation arises from factors such as (but not limited to) opinions on environmental benefits (put simply, instrumental or intrinsic) to humans, attributes of nature (e.g., stasis vs dynamism) and the human-nature relationship (e.g., whether humans are part of a Leopold-esq biotic community). Similarly, Peter Groffman et al. in a 2010 study, discuss the diversity of ways of learning about these issues, notably a sharp increase in the importance of internet media in recent years. The issue of freshwater biodiversity is often neglected in environmental campaigning and policy-making circles. In this context, it is useful to look to the concept of frame analytics for guidance on how to engage and foster dialogue with a heterogonous audience. Matthew Nisbet and Chris Mooney suggest that scientific information should be actively “framed” to resonate with the values and beliefs of the intended audience. For them, “[f]rames organize central ideas, defining a controversy to resonate with core values and assumptions. Frames pare down complex issues by giving some aspects greater emphasis. They allow citizens to rapidly identify why an issue matters, who might be responsible, and what should be done”. In other words, science communicators should look to frame an issue in a manner that will not only be understood by, but resonate with their audience. Critics suggest that by failing to “stick to the facts”, framing science risks keeping the “two cultures” (see C.P. Snow’s The Two Cultures and resulting discussion) of science and society apart, inhibiting the communication of complex ideas to a non-science audience. But this view may be unduly harsh. Facts only have meaning within context, and framing is a way of adding context to an issue. Framing offers a useful means of conceptualising how to tailor the communication of science to different audiences, a concept that the BioFresh animation has drawn from in relation to freshwater ecosystems. Recently, increased emphasis is being put on the need for hope-based environmental messaging, in response to the idea that the public becomes fatigued and unresponsive to “doom and gloom” messages of environmental catastrophe (such as the ill-fated 10:10 campaign in 2010). Creative use of communication, drawing from frame analytics and the creative arts (see for example WWF Portugal’s collaboration with Benfica Football Club) may provide a more productive means of engaging the public with environmental issues. Digital media can provide the means for science to be communicated in a manner that allows dialogue and debate with an audience. The public now participates in online communities through blogs, social media and forums in unprecedented ways, and as such it is important that science communicators recognise this, and use popular and cutting-edge new media to creatively convey information. Animation offers numerous possibilities for communicating scientific information in a clear, concise and engaging manner in this online environment. It frames information in a commonly and easily accessible format, using the creative arts to provide a positive and hopeful message — in this case, about how BioFresh seek to improve freshwater biodiversity conservation. 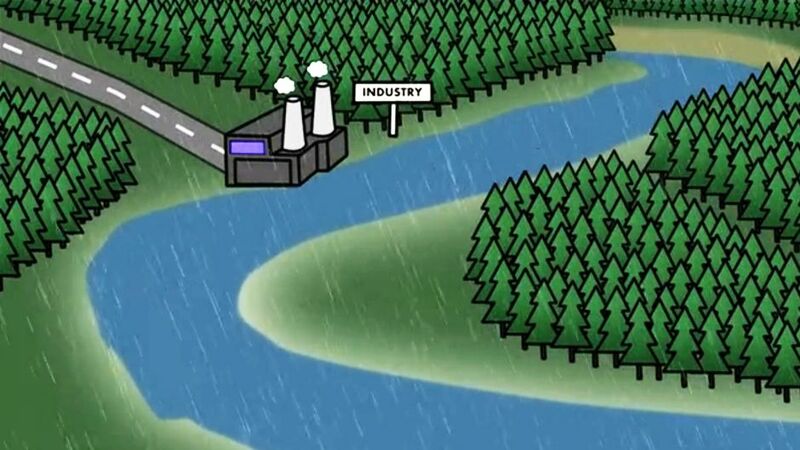 By experimenting with creative ideas such as animation in the constantly evolving field of science communication, we hope to not only raise awareness of freshwater ecosystem issues and the role of the BioFresh project, but also to contribute new perspectives to the current debate on how science should be communicated. By embracing a dialogue-led, hope-based environmental messaging ethos, communicated through the new channels being opened up by technological advancement, BioFresh and other environmental organisations can reach wider audiences than has ever been possible before. Even so, a number of wider questions remain unanswered. Do trade-offs exist between the need to communicate rigorous and complex scientific information, and the need to communicate it in an accessible, engaging manner? How can engagement with scientific issues be measured? It is one thing to know how many times an animation has been watched, or a website accessed, but another to know how this engagement translates into meaningful environmental action, including behavioural change. Does any individual or organisation even have the right to try and change public behaviour in this way? Finally, more positively, how can rapid advances in communication technology open up new opportunities to engage the public and policy makers with scientific information? BioFresh is keen to receive comments and questions about their work, which can be directed to biofresh@ouce.ox.ac.uk. Creative Thinking Aids Freshwater Science Communication by Rob St.John is licensed under a Creative Commons Attribution-NonCommercial-ShareAlike 3.0 Unported License. Rob St.John is the Communications and Project Co-ordinator within BioFresh — an EU funded project to improve capacity for protection and managment of freshwater biodiversity in the face of ongoing changes to global climate and socioeconomics — at Oxford University. Rob holds an M.Sc. in Biodiversity, Conservation & Management from Oxford and a B.Sc. in Geography from Edinburgh University. His current research interests lie in science communication, currently focussed on experimenting with novel and engaging means of successfully communicating complex concepts. Fresh water management is the need of the hour. In my country, India, our government has a clear cut agenda as to how water should be treated and managed in the urban areas. Now, we are trying to implement that into the rural structure as well.